This was a common topic on the late lamented PVC Security podcast. Let’s dive in! The chief information security officer (CISO) is the executive responsible for an organization’s information and data security. While in the past the role has been rather narrowly defined along those lines, these days the title is often used interchangeably with CSO and VP of security, indicating a more expansive role in the organization. Ambitious security pros looking to climb the corporate latter may have a CISO position in their sights. Let’s take a look at what you can do to improve your chances of snagging a CISO job, and what your duties will entail if you land this critical role. And if you’re looking to add a CISO to your organization’s roster, perhaps for the first time, you’ll want to read on as well. What does it take to be considered for this role? Generally speaking, a CISO needs a solid technical foundation. Cyberdegrees.org says that, typically, a candidate is expected to have a bachelor’s degree in computer science or a related field and 7-12 years of work experience (including at least five in a management role); technical master’s degrees with a security focus are also increasingly in vogue. There’s also a laundry list of expected technical skills: beyond the basics of programming and system administration that any high-level tech exec would be expected to have, you should also understand some security-centric tech, like DNS, routing, authentication, VPN, proxy services and DDOS mitigation technologies; coding practices, ethical hacking and threat modeling; and firewall and intrusion detection/prevention protocols. And because CISOs are expected to help with regulatory compliance, you should know about PCI, HIPAA, NIST, GLBA and SOX compliance assessments as well. Security is a role within an organization that inevitably butts heads with others, since a security pro’s instincts are to lock down systems and make them harder to access — something that can conflict with IT’s job of making information and applications available in a frictionless way. The way that drama plays out at the top of the org chart can be as a CISO vs. CIO battle, and the contours of that fight are often established by the lines of reporting within an organization. (CSO discussed this in depth in the article “Does it matter who the CISO reports to?”) Even though both titles have “C” in the name, it’s relatively common for CISOs to report to CIOs, which can constrain CISO’s ability to execute strategically, as their vision ends up being subordinated to the CIO’s overall IT strategy. CISO’s definitely gain clout when they report directly to the CEO or the board, which is becoming an increasingly common practice. 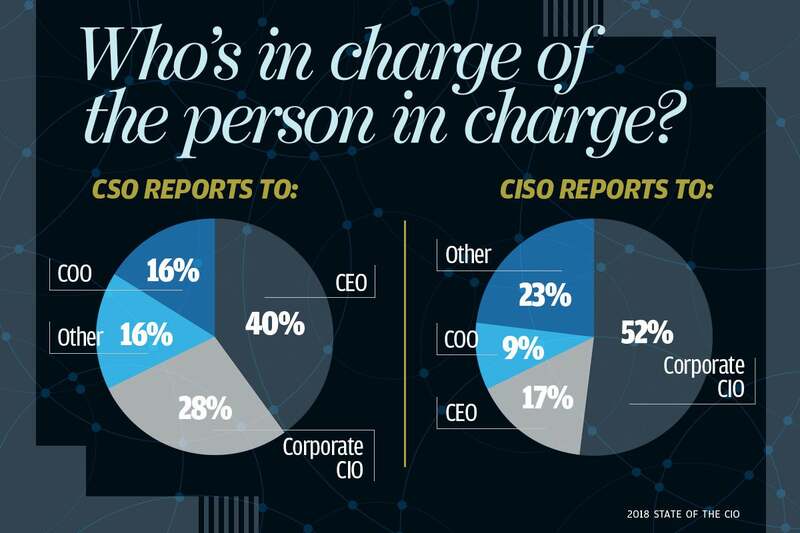 This might involve a change of title — according to the Global State of Information Survey 2018, CISOs are more likely to be subordinated to a CIO, whereas a security exec with the title of Chief Security Officer (CSO) is more likely to be on the same level as the CIO — and to have non-tech security responsibilities to boot. Placing CIOs and CISOs on equal footing can help tamp down conflict, not least because it sends a signal to the whole organization that security is important. But it also means that the CISO can’t simply be a gatekeeper vetoing technical initiatives. As Ducati CIO Piergiorgio Grossi told i-CIO magazine, “it’s up to the CISO to help the IT team provide more robust products and services rather than simply saying ‘no. '” This shared responsibility for strategic initiatives changes the dynamics of the relationship — and can mean the difference between success and failure for new CISOs. CSO Senior Editor Michael Nadeau lays out in some detail how you’d approach writing a CISO job description. One of the important things he points out is that your description should make your organization’s commitment to security very clear from the get-go, because that’s how you’re going to attract a high-quality candidate. You should highlight where the new CISO will end up on the org chart and how much board interaction they’ll have to really make this point clear. Another important point he makes is to keep the job description fresh, even if you have someone in the role — after all, you never know when that person will move on to another opportunity, and this is a crucial job that you don’t want to leave unstaffed. CISO is a high-level job and CISOs are paid accordingly. Predicting salaries is more of an art than a science, of course, but the strong consensus is that salaries above $100,000 are typical. As of this writing, ZipRecruiter has the national average at $153,117; Salary.com pegs the typical range even higher, as between $192,000 and $254,000. If you check out Glassdoor, you can see salary ranges for current CISO job openings, which can help you get a sense of which sectors pay more or less. For instance, at this writing there’s an open CISO position in the federal government that pays between $164,000 and $178,000, and one at the University of Utah that pays between $230,000 and $251,000. “A CISO’s guide to avoiding certain CISO jobs” : Not all CISO jobs are created equal, and some will set you up for failure that can have negative career implications down the line. Here’s some tips on red flags to watch out for. “Why do CISOs change jobs so frequently?”: The average CISO only stays on the job for 24-48 months, according to market research. Find out what these fast moves mean for the industry and how you can react. “What is a virtual CISO?”: C-level execs aren’t immune to the trend towards “on-demand” employees who work on part time contracts rather than occupying full-time positions. This article will explain what virtual CISOs can and can’t do, which is important if you’re competing against them for jobs — or want to become one yourself. The CISO/CSO often reports to the CIO, which is a conflict of interest. I generally recommend reporting to CEO directly or else the COO or CFO. CISO/CSO roles require strong reporting managers and talented teams plus reliable managed security service providers. The best way to determine their value is by measuring them. Yet many enterprises I visit fail to measure even the most obviously valuable metrics but want their Top Ten lists. This is a solid summary of the CISO role. If you target this in your career path, this article is useful. A complaint is a tool. 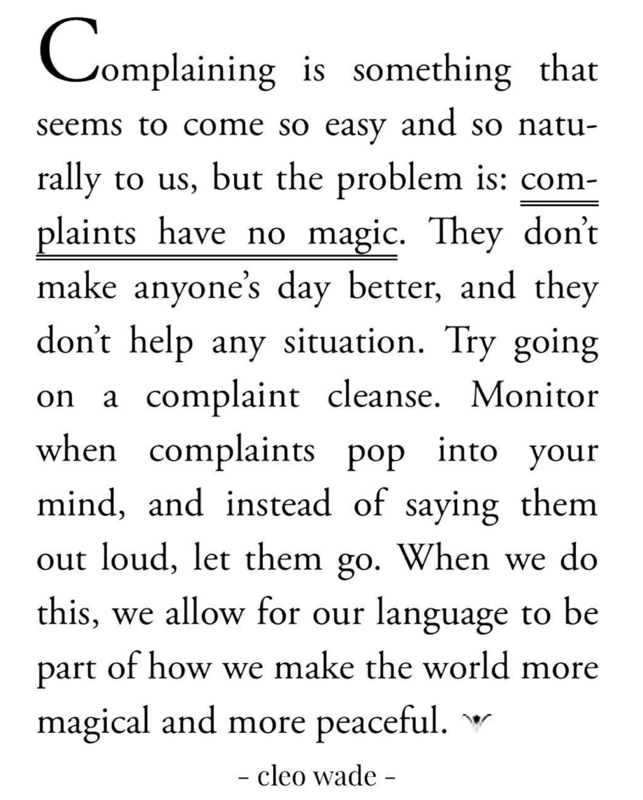 A complaint for the sake of complaining is wasted energy. A complaint as constructive criticism or with solution(s) adds value. To say one won’t complain means one will not effect change. How does that add value?